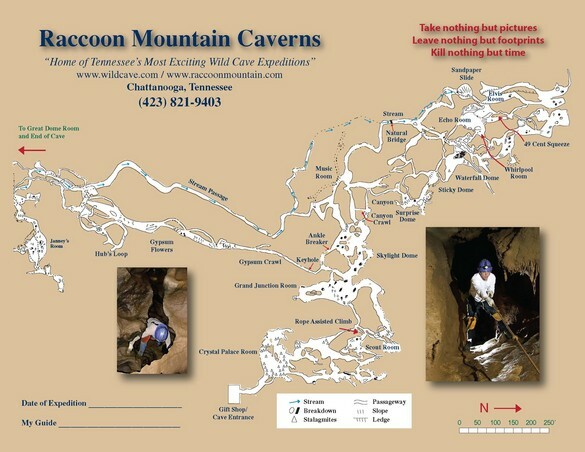 Wild Cave Expeditions are guided tours through the vast, undeveloped portions of our cave where there are no designated trails, handrails, or electric lights. Participants on these tours are required to wear helmets, lights, pads, and gloves -- all of which are provided for your use. Our expeditions are both highly educational and absolutely unforgettable! Wild Cave Expeditions are physically strenuous tours that require strength and stamina. Tours include climbing, crawling, walking, stooping, and sliding. These tours visit the undeveloped parts of the cave, which include many small spaces and a total lack of light. Therefore, they are not recommended for those with claustrophobia or achluophobia. These tours are also not recommended for those with back, neck, heart, or knee issues or those having had recent surgery or who are pregnant. All participants must have chest and hip measurements less than 56". Height, age, and weight restrictions apply. - Online reservations are requests for a tour. Payment is due in full to confirm the reservation. 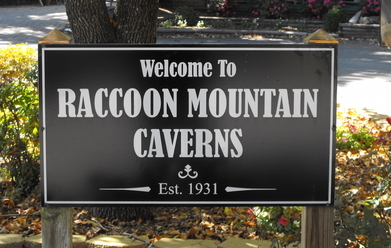 A cave representative will contact you via phone to ensure all participants meet the tour requirements, take your payment, and officially confirm your reservation. Reservations are not confirmed until this process is completed. Payments are non-refundable. -Tours require at least 2 participants in order to run. Single guests may be able to join with other groups already booked. - Groups must have at least one member 18 years or older. Minors cannot participate without a parent or guardian. - For safety purposes, height, age, and weight requirements are strictly enforced and cannot be overlooked. - Once payment is made to confirm a tour, it is non-refundable. This includes no-shows, late arrivals, and back-outs. - Tours have strict requirements and guidelines. Please familiarize yourself with the Wild Cave Checklist before booking a tour to ensure you are prepared. CANCELLATION POLICY: There are no cancellations or refunds. If you fail to arrive for your tour, we incur all the same expenses and may have turned others away; therefore, guests who fail to show for a tour, fail to arrive at the scheduled time, or back out of the tour will not be refunded. Tours can be rescheduled with advanced notice. This expedition is the least strenuous of our wild cave offerings and focuses on introducing participants to the activity of caving. Crawls on this tour are primarily hands-and-knees, with minimal tight squeezes. This is the only expedition that bypasses "The Canyon" and therefore has a reduced height requirement. This expedition is perfect for those looking for a slight step up from the Canyon Crawl, adding several additional rooms, a visit to the Waterfall Dome, a trip through the stream, and allows guests to see a variety of beautiful fossils contained within the rock walls of the cave. Requirements: All participants must be at least 10 years old, at least 56" tall, and no more than 275 lbs. This expedition includes most of the Fossil Crawl Expedition plus some longer belly crawls, a trip to several additional rooms including the Waterfall Dome and the aptly named Echo Room, a visit to the sandpaper slide, and passing through the famous 49-cent squeeze. Requirements: All participants must be at least 14 years old, at least 56" tall, and no more than 275 lbs. Please note that the rates listed above do not include Tennessee sales tax. Tax exempt organizations must provide a copy of their Tax Exemption Certificate or a Federal 501(c)3. Please contact us at either 423-821-9403 or 800-823-2267 to inquire about specific tour availability or if you have any additional questions. Thank you, and we look forward to going caving with you.